Firefly Boutique has done it again! Y’all, I seriously love everything from this store. This top is so cute and the lace detail gives it a little extra flirt. 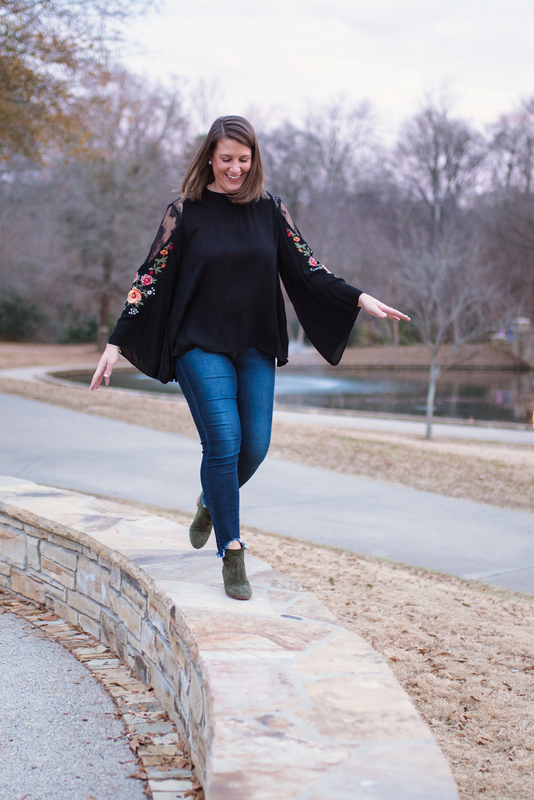 Bell sleeves have been my go to this fall into winter and these do not disappoint. I love the colorful detail! What was your favorite trend of 2017?